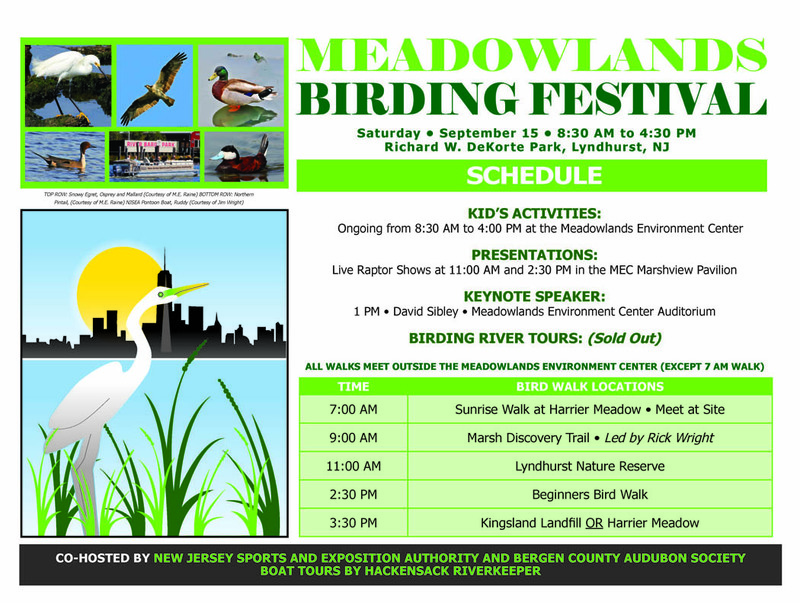 Meadowlands Birding Festival Is This Saturday! (Sept. 15)!!! We’re just a few days from the Meadowlands Birding Festival and we couldn’t be more excited! The free, family-friendly Festival is Saturday, Sept. 15, at DeKorte Park in Lyndhurst from 8:30 am to 4:30 pm. The day will include bird walks, talks, raptor visits, kid’s activities and more celebrating the Meadowlands amazing bird population. Do you have a mailing list or email mailing list for advance notification of events at DeKorte ?